CAD Lights 42G Versa Series 30" x 18" x 18"
CAD Lights presents our newest aquarium. 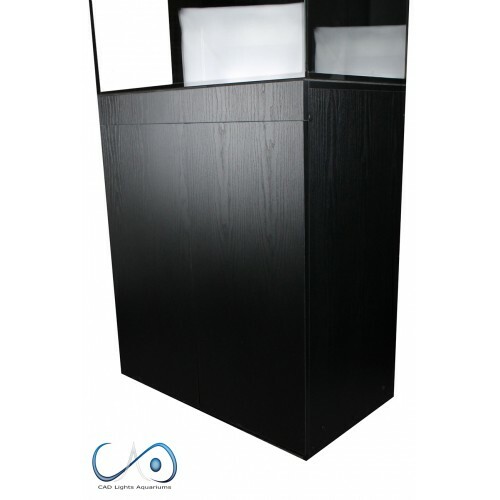 Our newest series of aquariums are suitable for all aquatic specimens by its dimensions, beauty, customizable filtration using your own equipment or compatible with most equipment in the industry, high quality yet economical all at the same time. The Versa aquariums are an amalgamation of high-performing and high quality materials to accomplish an amazing full range aquatic vision. 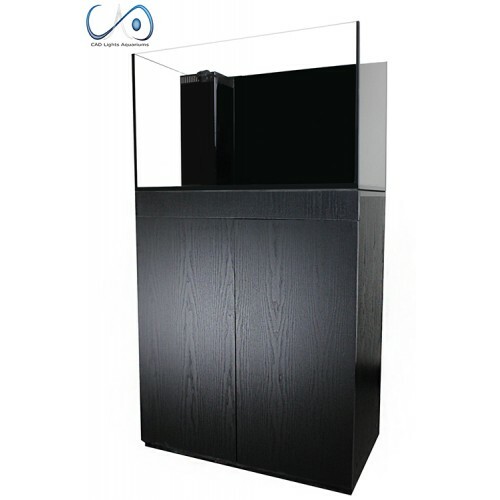 The core concept of the Versa series is in its versatility in both the aquarium and its filtration system. 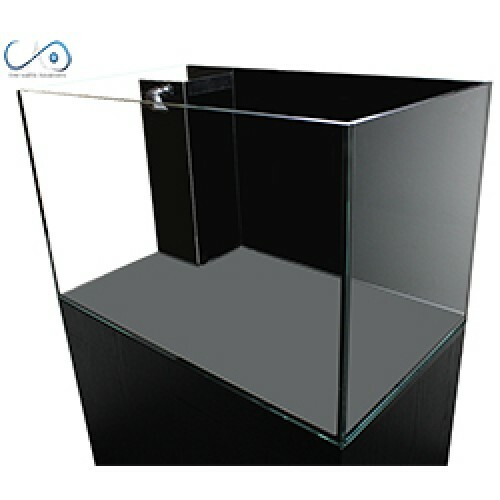 Designed from our source of 25 years in aquarium designing and building, the Versa series boasts dimensional-proportions that are suitable for all specimens, beauty, economical cost, and most of all unparalleled architecture suitable for homes, offices, industrial and your own personal spaces. 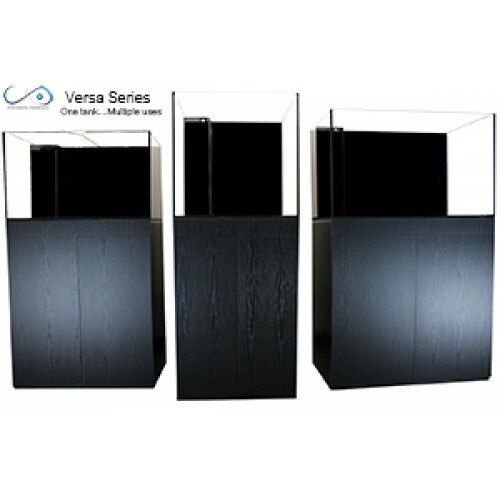 The Versa series offers CAD Lights signature trendy and modern rimless designs, allowing an undisturbed and smooth viewing of the marine specimen. The Versa Series uses the highest quality low iron Ultra Clear glass with diamond glazier polished edges, multi-use professional filtration system, and furniture-grade cabinetry and design. All Versa cabinetry stands at an optimal eye level of 36”, are plastic-coated MDF, and resistant to both freshwater and saltwater applications. Customizable and proportioned by skilled craftsman at CAD Lights, the Versa series maintains a versatile philosophy and compatibility to properly situate all aquatic specimens, whether it is saltwater, coral reefs, freshwater, or planted aquariums. The Versa filtration system includes a spacious 3-chamber sump, allowing compatibility for all CAD Lights equipment for a light reef to a full heavy loaded marine ecosystem. The sump fits in mostly all in-sump equipment in the industry (, such as protein skimmers, media reactors, and UV sterilizers etc). The Versa is designed to also accommodate the use of clients existing equipment as they upgrade to the Versa aquarium package. Uses SCH40 standard PVC parts and sizes which gives you even more freedom to customize to your liking. Each Versa tank is economically and competitively priced. However, neither beauty nor design is sacrificed in the pursuit for a cost-effective price. This is a very interesting size. specially designed to be a "Bridge" between a Nano to a full sized aquarium. 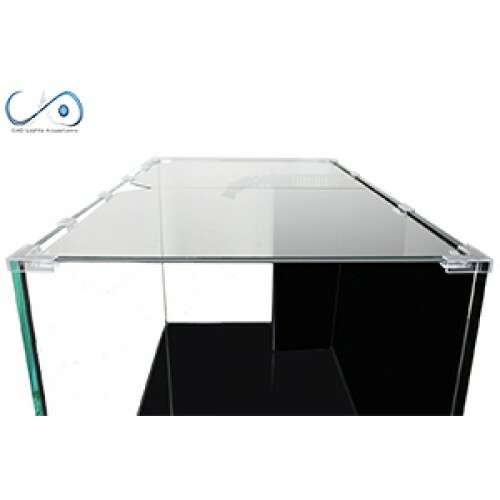 Great for a small Nano reef set up, fish friendly and makes a great heavy loaded reef system as well due to its spacious depth and length proportions. Also an added advantage is its extra large 3 chamber and high speed filtration. * 42G Versa Starfire aquarium 30 x 18 x 18. 10MM thick glass. Overall height is 54" with cabinet and tank. * Complete 1" and 1/2" standard SCH40 PVC Durso and Loc-line plumbing kit. 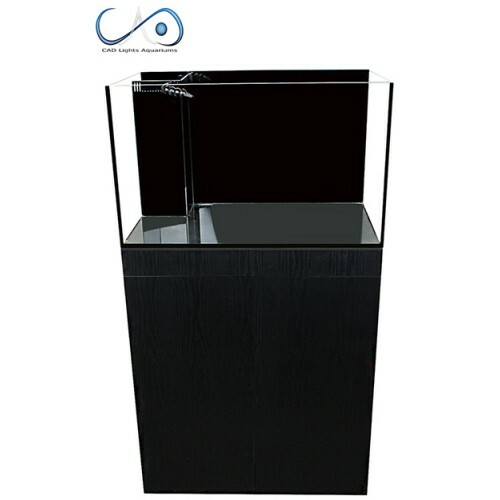 * Spacious 16G 3-chamber multi-purpose and high compatibility sump. Tags: CAD Lights 42G Versa Series 30" x 18" x 18"